Complex Says: In the '30s, Cadillac made V16s that rivaled legendary brands like Duesenberg. 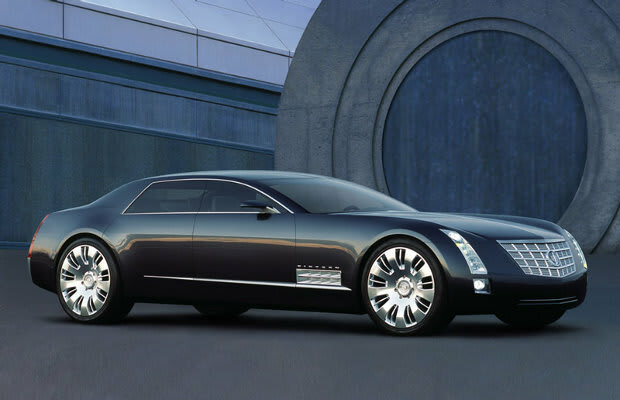 For 2003, Cadillac came up with this concept, a gigantic sedan powered by a 13.6-liter V16 with cylinder deactivation technology, just like the infamous V8-6-4. By the time 2003 had rolled around, computers were up to the task of turning cylinders on and off. Despite being 5,000 pounds and more than 20 feet long, the Sixteen would still manage 20mpg...or 1,000 horsepower.